The 3D printed implant used as scaffolding to repair spinal cord injuries in rats. 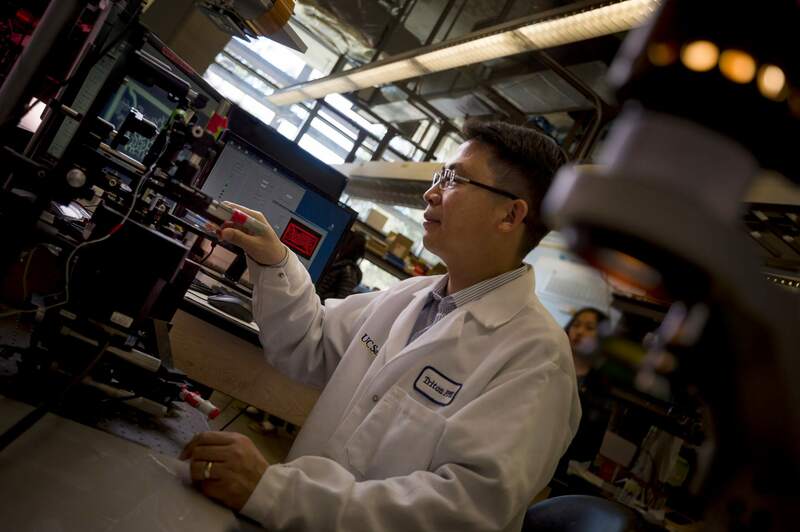 Researchers from the University of California San Diego (UCSD) School of Medicine and Institute of Engineering in Medicine (IEM) have successfully 3D printed a two-millimeter spinal cord implant to repair spinal cord injuries in rats. In a recent issue of Nature Medicine, the researchers explained in their study that the 3D printed implant contains 200-micrometer-wide channels (twice the width of a human hair) that guide neural stem cell growth, ultimately restoring connections and lost function. 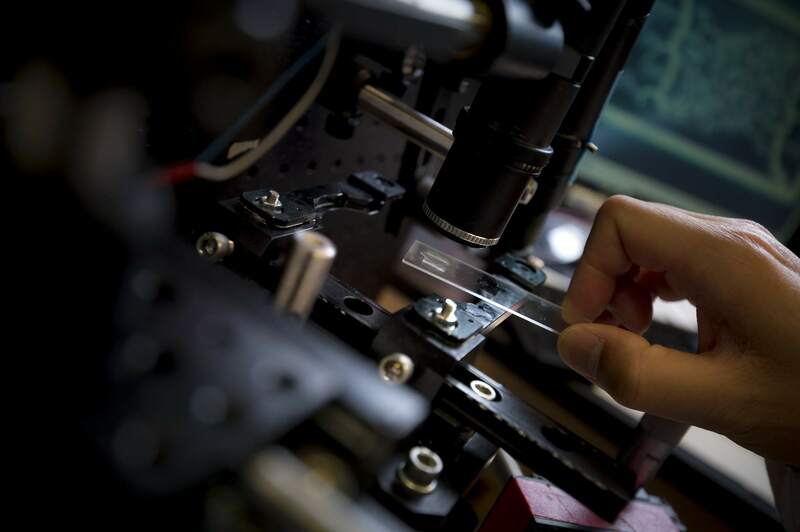 “This shows the flexibility of our 3D printing technology,” said co-first author Wei Zhu, PhD, a nanoengineering postdoctoral fellow in the Chen group. In December, UCSD bioengineers developed a 3D bioprinting method that integrates natural materials which produce lifelike organ tissue models. Prior to this, the researchers gained experience in bioengineering by 3D printing a framework of functional blood vessels using a Digital Light Processing (DLP) method with hydrogel and encapsulated cells. Nanoengineering professor Shaochen Chen. Photo by Erik Jepsen/UC San Diego Publications. The 3D printing technology used by the researchers produced the two-millimeter-sized implants in 1.6 seconds. In comparison, the study states that traditional nozzle printers take several hours to produce much simpler structures. Loaded with neural stem cells, the team grafted the implants into sites of severe spinal cord injury in rats. In a few months, new spinal cord tissue had regrown across the injury and connected the severed ends and axons (long, threadlike extensions on nerve cells) of the host spinal cord. This experiment resulted in the treated rats regaining significant functional motor improvement in their hind legs. Following this, the researchers proved this process was scalable to human spinal cord sizes by 3D printing four-centimeter-sized implants modeled from MRI scans within 10 minutes. “This marks another key step toward conducting clinical trials to repair spinal cord injuries in people,” said Kobi Koffler, PhD, Assistant Project Scientist at the Center for Neural Repair, UCSD. The research paper “Biomimetic 3D printed scaffolds for spinal cord injury repair,” is co-authored by Xin Qu, Oleksandr Platoshyn, Jennifer Dulin, John Brock, Lori Graham, Paul Lu, Martin Marsala, and Jeff Sakamoto. A microscopic 3D printed blood vessel. Photo by Erik Jepsen/UC San Diego Publications.